Richard Irwin (Belper, United Kingdom) on 14 February 2008 in Plant & Nature and Portfolio. Snowdrops have been flowering in my garden since the end of January, so I thought I had better photograph them before they finish. It's been very sunny everyday for a week now, and warm enough (14C+) for me to perch outside whilst my back recovers from last weeks injury. Beautiful in color detail and shape. Beautiful... Delicate and wonderful. :) Happy Valentine's Day! The DOF and lighting looks spot on for the shot, so much so that it makes the focal snowdrop pop off the screen, I can 'almost' smell it. Beautiful shot of beautiful flowers!Lovely light there! Lovely! And a wonderful reminder of spring. The greens and whites are very vivid. Thanks for sharing. How's your back? Beautiful shot, and flower. Just had another snow/sleet/freezing rain/rain/flooding episode yesterday and last night! A week of sun, I'm jealous! Love the sense of proportion and value used here! I love it!!! Such a present for Valentine's!!!! Thank you! very pretty - how wonderful that you have flowers this time of year. The colors and depth of field are great. Lovely shapes, colors, and lighting! Beautiful shot Richard! Wonderful lighting of these delicate looking flowers. 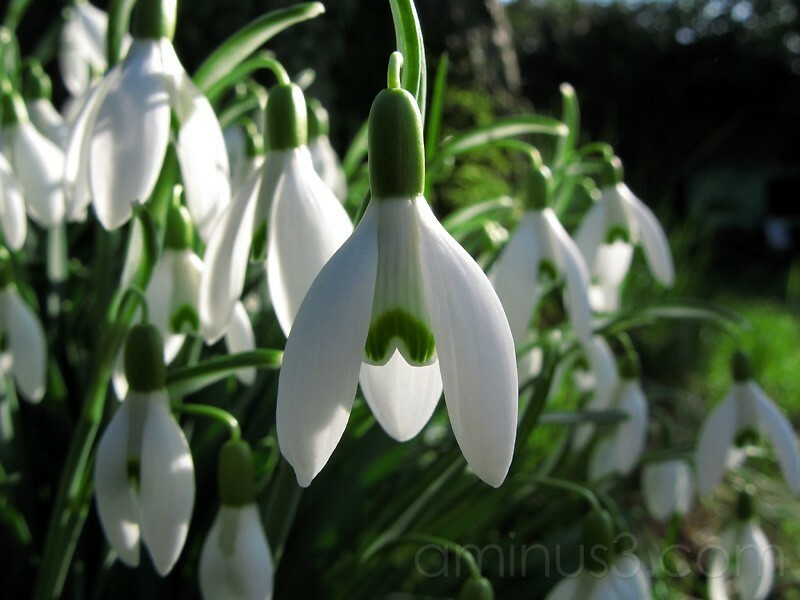 A beautiful shot and display of these snowdrops Richard. It looks a spectacular sight. i prefer this one. these are elegant looking flowers.